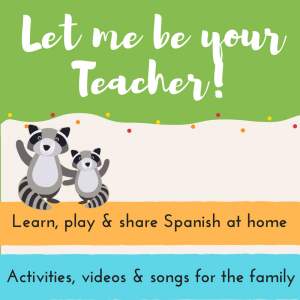 On this blog post we are showcasing one of our parents using Nano Spanish club as an extra learning resource at home. 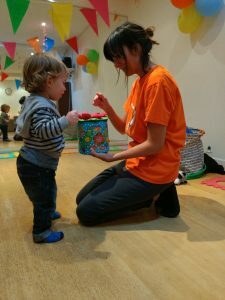 Jimmy comes to our Monday classes with his 2 year old son, Séamus, and signed up to the online membership before the summer to continue the language exposure at home and to share the learning with mum. Both Jimmy and Jade are from Australia and speak mostly English at home. They wanted to introduce Spanish as a second language for Séamus to learn in early childhood and the three of them are joining together in this Spanish learning adventure. 1. What was the main reason that made you sign up for our online resources? Séamus’s mother isn’t able to attend any classes unfortunately, so these resources give her the opportunity to sit with him to reinforce his learning outside the class via the fun activities as well learn herself. Interestingly we’ve also found he’s more responsive in repeating the words back at home than he is in class. 2. 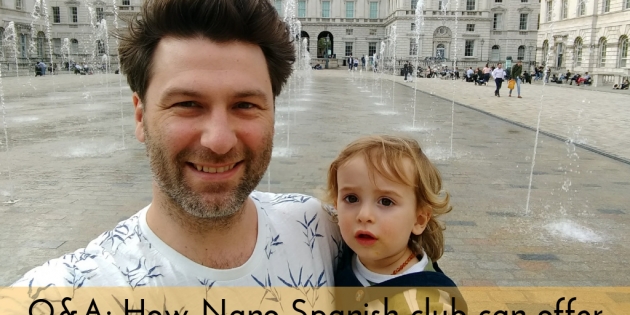 What feature of Nano Spanish Club do you, mum and Séamus use more often, educational videos, images and words or print out worksheets? We watch the videos most often, he really enjoys them. 3. Would you say Séamus is learning and making progress with Nano Spanish Club? Definitely – especially after the summer break his general development really accelerated his learning in general. He learns Spanish along with English – I can ask him what the Spanish word (learnt in Nanos) for the English word is and he can tell me. 4. Do you think using the online resources at home helps Séamus to feel more confident in class? Definitely! We then take the learning and incorporate into normal conversation, or reading books, etc. 5. Are you as the parent taking the plunge and together learning with Séamus? Yes, I’m definitely learning with him. 6. From 1 to 5, how much fun is Séamus having when using Nano Spanish Club? 7. Would you recommend our online service to your friends and family? We are really thankful to Jimmy for taking the time to answer our questions and very pleased to hear and see that Séamus and family are making such great progress, in all honesty, experiencing the value of what I do is the best feeling in the world! If you are too, attending one of our classes but want a bit more sign up to access our free bundle. To check our class times and locations, here is where to find them.